hrm how do you proc soul of arakaali's 50% increased recovery since immortal call doesnt stop the fire degen? could you also provide some numbers to crunch? Look like this is HC viable right ? Honestly, I don't play much in HC so I don't know if it is HC viable. The skill tree does provide a good amount of life regen but Goddess is really blood thirsty as your character gains more level. From my game play so far, any map mod that rolls 40+% less life recovery, poison, and degen can hurt you really badly if you are not alert. You are right on CWDT + IC not able to stop Goddess burn. The rest of the stats from Arakaali is still good because of the reduced damage taken over time. She really hurts when she burns. Any video of it doing shaper? Please tell me, how I am supposed to deal with sword degen once I'm out of combat? It eats 1/3 of my HP and I'm only lvl 70... 80% fire res. Is there any possible way to disable debuff instantly? Yea, apparently vitality void is essential for this build. It works much better now. 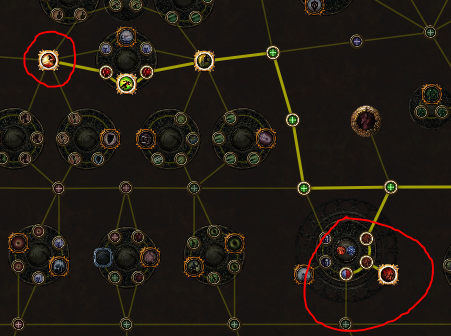 Is there any reason as to why you didn't pick Vaal Pact or Acrobatics? I'm tempted to skill into them. Don't have videos for end game content yet as I am playing the build in SSF Abyss. Looking at your skill tree, it appears that you are not following the level 75 skill tree listed in the guide closely. Gain 6% attack speed 12% accuracy. You did take the node to start at duelist. You are right. Didn't think of that when I made the tree. I have updated the level 100 skill tree based on your input accordingly. 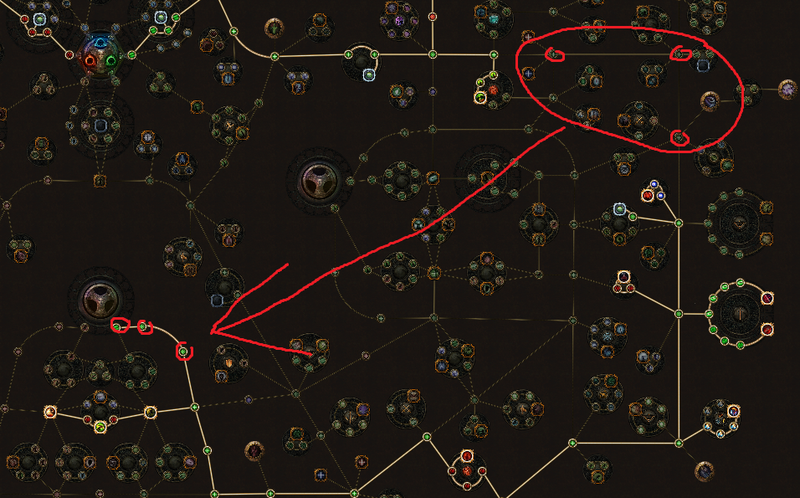 But i dont get "how" lightning coil give "the best damage output" for the build over bronn's light. its the best damage output for blade flurry right ? edit : i think i get it lul !